Happy Humpday Pic: Looking Up! Achieving resolution milestones. 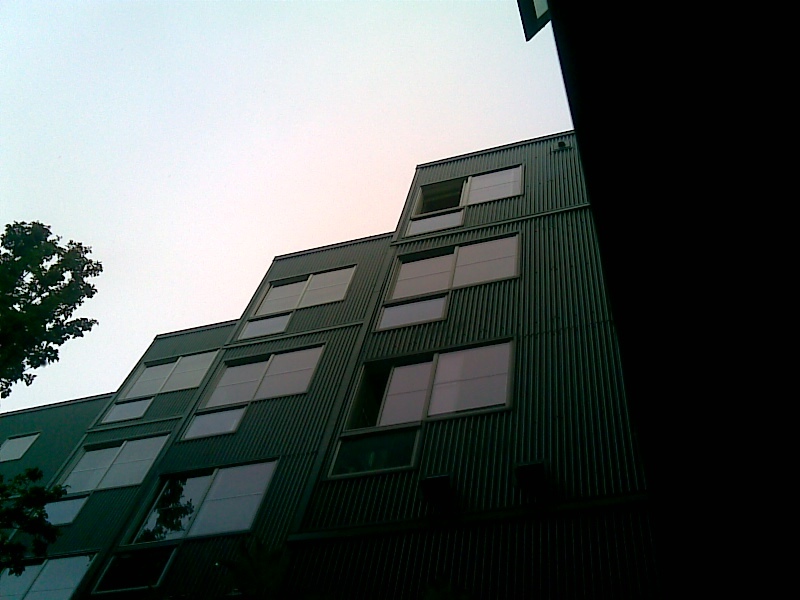 Looking up at my previous apartment building from the inner courtyard. This picture was taken from the inner courtyard of a building I lived in, my apartment the upper right open window. There was a grand view of Elliott Bay in Seattle Sound, I could see the cruise ships on their shore leave. During certain months of the year, I could see the Naval ships docking at Bell Street Harbor getting worked over. Loved the Navy men! The year is almost a quarter over already, can you believe that? How are your resolutions coming along? Have you hit your quarterly goal? Did you give up? Setting and working towards goals takes a long view, setting smaller, more achievable paths or milestones. Did you set out to lose a certain amount of weight? Or, instead, was your goal to gain a promotion at work? By setting smaller, achievable milestones, breaking down the larger goal into smaller parts, you will see steps taken and gained. Instead of your goal to lose 100 pounds by summer or being the next vice president of your company, try setting a goal to lose a pound a week instead or doing your work in a shorter amount of time (correctly, I might add) then offering help to coworkers with theirs. Each takes determination, hard work and sacrifice, but well worth it in the long run.